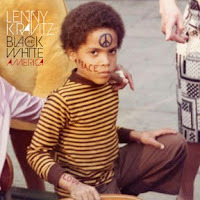 Today we have for you the new video from Lenny Kravitz. Why? 1) We like Lenny. 2) It’s in b&w. 3) It’s a good song. 4) He roams about shirtless in it. What? It’s my corner of the internet world and I can be shallow if I want! At least I refrained from making that the number one reason for posting the video. The video is for “Push” which is from his latest album, Black And White America.